To change how you see the world, why not change how you travel it? 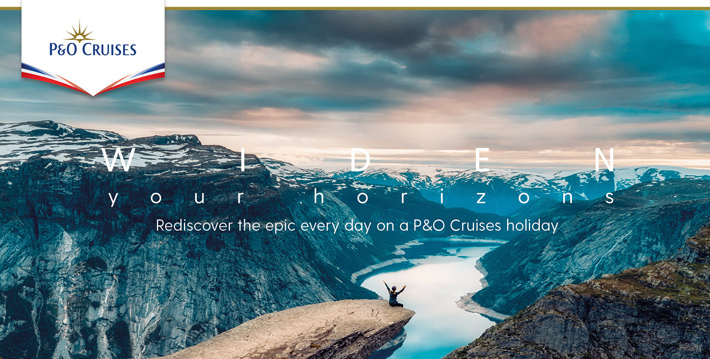 Destinations are yours to discover more deeply, when you adventure by sea and land on a P&O Cruises holiday. Revel in the excitement of throwing open your curtains each morning to an astounding new view – all yours to explore. Kayak shimmering fjords in Norway, dive tropical underwater worlds in the Caribbean, or dine Bedouin-style under a blanket of stars in Dubai. Whilst on board our award-winning ships the epic experiences continue with exceptional dining, leisure and entertainment – all included as standard. Plus, book an applicable Select Price holiday by 29 April 2019 and you’re free to enjoy even more, with the gift of extra spending money added to your on-board account. It’s all yours to spend as you wish; an eye-opening experience ashore, indulgent spa treatment, or so much more - you decide.